We do some printing in house — mostly the simpler stuff that works on our high speed laser printers. For offset printing we work in partnership with an excellent selection of Northeast printers each of whom have specialties that assure you of the best price and service. Our clients print postcards, newsletters, brochures, envelopes, business cards and even newspapers that we mail out. We make sure that your job is printed perfectly. If there is a problem with your artwork, we’ll try to fix it if we can or else send it back to your designer for the proper tweaking. If you need help with a design or a concept, you can try us out for that too… I’ve been doing this for over 20 years and I think I still have a good idea or two left…. We’ll be happy to quote printing for you — give us your specs and we’ll email you back a quote. 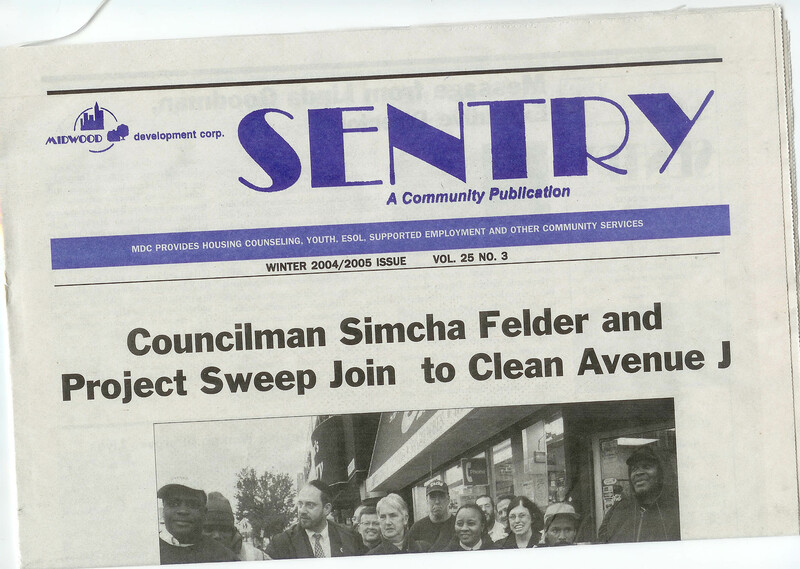 Here is a newspaper that we produce four times a year for a community organization called Midwood Development. They send us the stories and ads and photos over the internet as email attachments, and we make up the layout, send back pdf files for approval, and then have it printed at a newspaper printing plant in Brooklyn. The paper is distributed free throughout their Midwood neighborhood. © 2015 Select Mail. All rights reserved.